Cru pays top prices for fine wine and spirits. We can give you a 'buy it now' price within a few hours and the money can be with you very quickly. Or we can work with you over a longer time period to attain the very best price for your portfolio. Go to “Account” then “Investment Centre” and click “Sell Wines”. This shows the wines you can sell (which are all physically landed wines stored with Cru). Set the selling price in the “Sale Price” box. The price you receive will be Sale Price minus our standard commission, shown in “You Receive” column. Slide the red toggle to the right and ‘Save’. You will see a confirmation screen to check the Selling Price and the price you will get after commission. 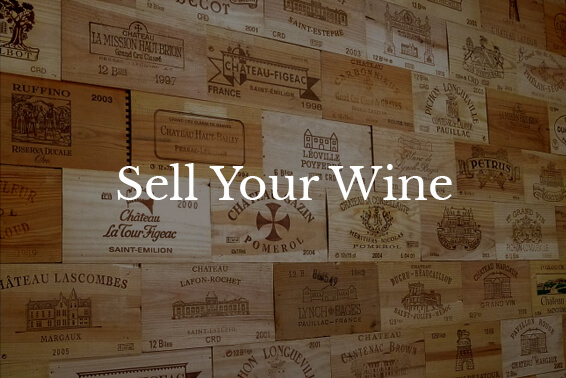 Your wines are now available for sale on Cru (you will be able to see them offered on our site). As your wines sell you will receive daily email confirmations. The proceeds your sales will be credited as Account Credit – which you can see in your Account Credit section. This can be used at the checkout to buy more wines. Or you can request redemption in cash by emailing us at finance@cruworldwine.com. Payments can be made 14 days after wines have sold.